Previously we have discussed types of unmanned air vehicles (UAV’s) and how their use is regulated (and limited) by the Federal Aviation Administration (FAA). This third segment will talk about how to train your officers or first responders to use their UAV in realistic situations. Also, we will describe some of the procedures that FAA needs to understand before granting your department a Certificate of Authorization (COA) waiver to fly within your jurisdiction. Assuming here that you have a rotary-wing UAV that is electric-powered. It has batteries for the UAV and more for the ground station, video display and other equipment. Numerous cables and other gear are needed to make it all work together. Let’s examine two different response teams and see how things go for them in a “simulated emergency” situation. Team one arrives at the scene and begins to unload their UAV and support equipment. It might be in hard cases or maybe in cardboard boxes, where it was stored after the first (or previous) use or test flights. The pieces that go together to assemble the UAV aren’t together; the battery may not have been charged recently, and the cables that connect antenna, ground station, controller, video display or whatever—well, they are all tangled up and at the bottom of the box. Worst part of it is, the operator who is “the expert” on the UAV may not be available. That single class that the manufacturer’s rep gave: how to assemble, setup, and operate the UAV and ground station—well, it’s been a few months and it’s gotten a little fuzzy, even though you thought it was so simple you didn’t need to take notes. Somehow the UAV is assembled, the cables are all connected and maybe a few indicators come up but it just doesn’t seem to want to work for you. What went wrong? Oh, and there’s a guy with a stopwatch and clipboard that seems to be timing all of this and making notes. Team two arrives at the scene and starts unloading their UAV and support equipment. It’s all in hard cases. The responders have lined the cases up in a special way. When the cases are opened, items are removed in an apparently logical order and go together to assemble the UAV in a nice, orderly fashion. Maybe there are one or two operators assembling the UAV while others assemble the ground station. This is also in a hard case and things are withdrawn in a logical and orderly way, going together quickly and without having to hunt for parts or cables. Batteries have just come off the charger back at headquarters and are ready for use. A charger has been set up upon arriving at the site and spares are sitting on charge, ready for use. There may be one or more pilots and/or ground station operators going through a pre-flight check list. The video display has been connected and you soon see video streaming from the UAV indicating that it’s live and functioning and ready to go. There hasn’t been a lot of talking during this setup process since all the personnel seem to know what is expected of them. Also, they know what’s expected in general, so any one person can fill the role of another team member. And that guy with the stopwatch and clipboard? He’s here with this team, too. Difference is: he’s smiling and nodding his head in approval. The above comparison is, of course, just for fun. However, it does emphasize how like any first responder equipment, a UAV is something that needs familiarization and operator training. In addition, there is a safety consideration associated with it flying over people’s head and property. Your training scenarios will probably be based on past situations or emergencies that are more common. Or, you may look ahead to changes in the community and plan a scenario that addresses those anticipated situations. • Most radio links will experience dropouts if you fly behind a building, mountain, or sometimes even dense trees or foliage. Know how your system responds in these cases. • If your UAV has a “return home” feature that kicks in when you lose radio link, it may head straight “home” without regard to buildings, trees, power lines, etc. in its path. Know how this works so you can prevent problems. • Test your imager and video system in low light conditions (dawn or dusk) to make sure you maintain the resolution needed to complete your mission. • Test your system in bright sunlight conditions to make sure your Pilot/Operator can see the video display. You may need a sun shield for outdoor use. • Know how your imager or camera responds when it points from ground to sky/partial sky. Some imagers have an auto-iris feature that darkens the ground (what you are probably trying to see) if the camera has the bright sky enter the field of view. Solutions for this are to narrow your field of view or look downward to get the sky out of the image. • You may find huge benefits in taking your UAV’s streaming video and distributing it via secure Internet. SEMCO makes a low-cost system that’s fantastic for first responders. With this system, you can stream live video securely to your command center, headquarters, or to individual first responders’ smart phones. • You should already have a crowd control plan when you begin to use your UAV. Add this to your training so it won’t cause any surprises during a real scenario. • Sense-and-avoid will already be a consideration for you and your team. This means watching out that the UAV will not collide with manned aircraft (news helicopters!) or people and property. Consider how you will manage this and which team member is responsible. • Someone on your team should be responsible for making a report. Have this same person keep records of your UAV operations so you evaluate the good and less-good aspects of your operations. • FAA currently requires a monthly report of UAV operations (even when there are no operations). Your record keeping will prove helpful in meeting this requirement. • Lost Link Procedures—here you describe what the UAV does if it loses its radio control link. Examples are to return home, to ditch (this is called Flight Termination Procedure), to circle and climb (hoping to clear whatever obstruction blocked the signal), fly to a “lost link waypoint” where it will orbit until regaining control or exhausting fuel/battery. FAA wants you to assure them that the UAV won’t wander off into the jet lanes or other unsafe action. • Lost Comms Procedures—here you describe what your team will do if you lose communications between pilot and observer or other essential personnel. • Emergency Procedures—here you describe how you handle possible emergencies (fire, personal injury, electrical shock, and others). Lost link or fly away events must be reported to FAA Air Traffic Control immediately. This will allow them to shift manned aircraft flights out of the probable path of the runaway UAV. FAA provides this emergency contact information with your COA when it’s approved. • If all of the above fail and if you need help with your UAV and FAA issues and want to talk to a UAV pilot/operator, you are welcome to email or call this author (contact information at the end of this article). We are all in this together. A few words about things going on at FAA: There are two important activities going on with FAA that will impact emergency service responders and UAV’s. One is the proposed “Small UAS Rule” that should make it easy for public agency first responders to fly their UAV. Now, this has been delayed numerous times since it was first mentioned two years ago. No telling when it will be released to the public for comment. Don’t bother asking FAA; they aren’t able to talk about it. The second thing is the congress-mandated Regional Test Sites for UAV’s. Congress basically mandated that FAA select 6 locations around the U.S.A. and make them regional test sites. It’s unclear what this will mean, whether you can fly anytime/anywhere within the approved area, or what. Twenty-four states have submitted proposals to become one of these six sites. Interest is very high about the outcome of the FAA decision. Since congress specified the deadlines for each step of the process, it may be announced within a year or so. 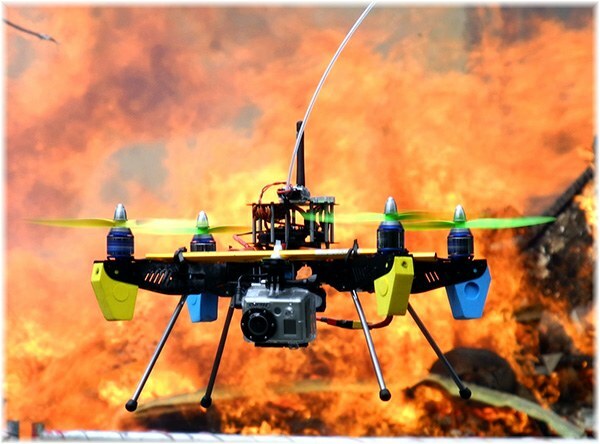 This will conclude the three-part introduction to UAV’s for first responders. We hope that these articles have been helpful and will get your department the information needed to begin considering adding unmanned aircraft to your resources. There are a lot of systems on the market and hopefully you will find the ones that match your mission requirements, interest, and budget. One recommendation is that if you think a UAV is in your future, begin planning your FAA relationship at the same time you plan the manpower side. With the FAA regulations addressed at the beginning, things will go much smoother when you are ready to fly. As always, be careful out there!